Get ready for eight hours of joy, pride and plenty of tears. 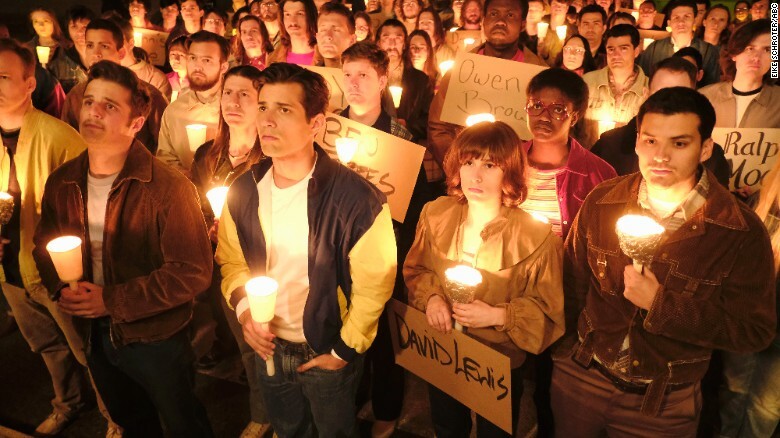 Beginning tonight, ABC presents When We Rise, an epic four-part miniseries about the struggles of LGBT men and women in the fight for equality from key points in the past through the advancements and new uncertainties of today. Written by Academy Award winner Dustin Lance Black and starring Guy Pearce, Mary-Louise Parker, Rachel Griffiths, Michael K. Williams, Ivory Aquino, Whoopi Goldberg, Rosie O’Donnell and David Hyde Pierce among many others, the star-studded series marks a new milestone. For a major broadcast network to devote so much prime time real estate to a story so personal to so many of us is a mark of progress in and of itself. Even as the LGBT community has more positive visibility and representation in mainstream media than ever before. Watch it live on ABC as the decades-spanning story unfolds each of four nights. Or binge it over the weekend on Hulu. However you choose to consume it, just make sure allow the feelings of empowerment to fill your soul and remind you that our fight is far from over. Brunch of the Month: The Chicken or The Egg?